SPIKE, JAMES, printer and publisher; b. at Halifax, N.S., in 1807 (baptized 10 June), sixth child of Daniel Spike and Grace Cullimore; m. in 1831 to Elizabeth Kerr (widow of his cousin Francis Leston) by whom he had two children, and in 1842 to Mary Elizabeth Metzler by whom he had 12 children; d. 29 March 1879 in Halifax. James Spike’s mother was remotely related to the Howe family and her son seems to have learned the printing trade from them. 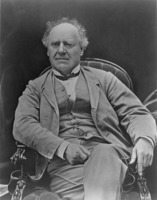 In 1826 Spike and Joseph Howe, then 22, bought the Weekly Chronicle from William Minns, Howe’s step-uncle. They changed the paper’s name to the Acadian and General Advertiser and began publication on 5 Jan. 1827. This partnership was Howe’s first business venture and is the main reason Spike is remembered. Their newspaper took a moderate, even faintly progressive, stand, and Howe’s editorial touch is apparent. At the end of the year Spike bought out, but never paid, his partner, and changed the name of the paper to the Acadian. He was evidently more a printer than a journalist for he announced he had “committed the Editorial part to a gentleman fully competent to the task.” The last number of the paper in the Nova Scotia archives is dated 9 May 1834. After Spike and Howe parted, their opinions diverged towards the right and the left. With his “unassuming manners and kindness of heart” Spike seems out of place in the fierce newspaper politics of that day. On 6 June 1838 James Spike became the first printer and publisher of the Guardian, the unofficial voice of the Kirk of Scotland and also a good general newspaper. Ten years later he ended his newspaper career when the Guardian changed publishers on 30 June 1848. Spike was appointed city health inspector of Halifax on 16 Oct. 1854 and continued in this office until his death from cancer. In his obituaries he was most remembered for his prominence in the temperance movement. Brunswick Street Church (Halifax), Records. St Luke’s Church (Halifax), Records. St Paul’s Church (Halifax), Records, 1769, 1787, 1807. Acadian (Halifax), 28 March, 9 May 1834. Acadian and General Advertiser (Halifax), 5, 12 Jan., 28 Dec. 1827. Acadian Recorder (Halifax), 8 July 1826, 9 July 1831, 29 March 1879, 10 March 1919. Guardian (Halifax), 6 June 1838, 30 June 1848. Halifax Daily Reporter and Times, 29 March 1879. Morning Chronicle (Halifax), 31 March 1879. Novascotian (Halifax), 13 Sept. 1827. J. A. Roy, Joseph Howe, a study in achievement and frustration (Toronto, 1935). J. J. Stewart, “Early journalism in Nova Scotia,” N.S. Hist. Soc. Coll., VI (1888), 91–122. C. ST.C. Stayner, “SPIKE, JAMES,” in Dictionary of Canadian Biography, vol. 10, University of Toronto/Université Laval, 2003–, accessed April 24, 2019, http://www.biographi.ca/en/bio/spike_james_10E.html.